What is Blood, and why was (and is) it so popular? 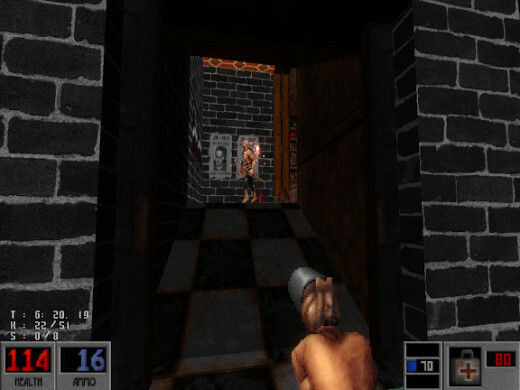 Blood started out as a project by QStudios under Apogee (3D Realms), but it was sold to Monolith, the creators of modern FPS games such as NOLF, F.E.A.R. and Project Origin, and its original name was to be Horror 3D. Some people are of the opinion that the game wasn’t as popular as Duke Nukem 3D or Shadow Warrior, both developed by 3D realms. I however, seem to remember how it became a topic of discussion at school among my friends because of all the violence in the game. Certainly, the shareware version was downloaded hundreds of thousands of times off of the internet. In fact it has been listed as one of the big four of all the build engine games, the others being Duke Nukem 3D, Shadow Warrior, and Redneck Rampage. There are several clues in the game that suggest it was inspired by Army of Darkness, like Caleb’s (the protagonist or anti-hero) several in-game remarks. The game received a comic book adaptation called Priest, a successful manhwa by Korean creator Min-Woo Hyung. There were even plans to make a film adaptation of the comic, but it has been cancelled for the moment. As of 2012, Jace Hall has expressed interest in reviving the series, even going as far as creating a forum post on Postmortem's forums where he is taking suggestions from fans as to what they would like to see in the new game if it should happen. It started back in the nineteenth century when Caleb, the protagonist, was a feared gunfighter in the west. He came across Ophelia, who had lost her family to murderers belonging to the cult known as the Cabal, because her husband tried to defect. Caleb was introduced to the cult by Ophelia and they both became two of the four ‘Chosen’ in the cult. One day the dark god, Tchernobog, betrayed all the four chosen, commanding his minions to abduct three, Ishmael, Gabriel and Ophelia, and Caleb was left in a grave. Years pass until 1928, when Caleb rises out of his grave and begins his quest to go after Cheogh, who abducted Ophelia, and subsequently all the others, Shial, Cerberus and eventually Tchernobog. 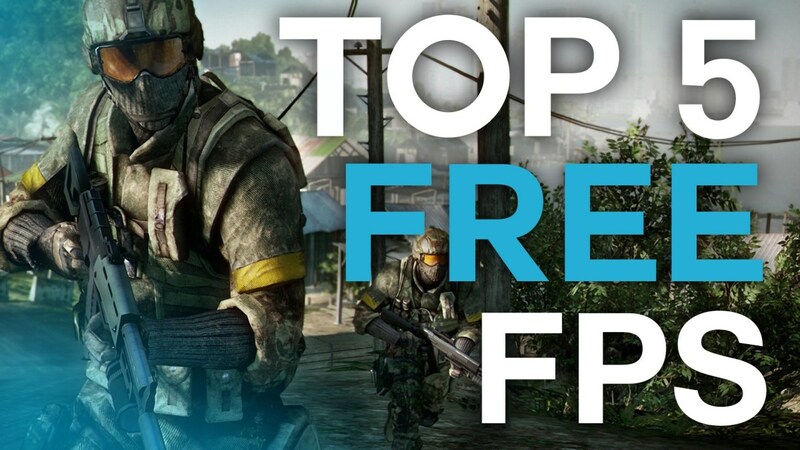 • The game uses the Build engine, which was previously used for Duke Nukem 3D a year earlier. 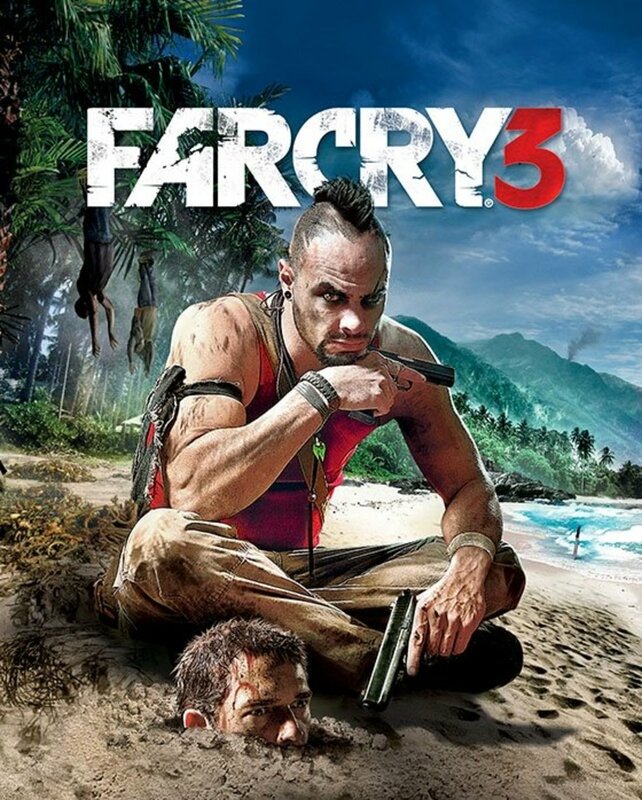 • Unique weapons like the flare pistol and different types of bombs. • Alternate attack modes for most weapons. • Ability to play one of four episodes, and in any sequence. • Gore that supersedes ROTT. • Voxels instead of normal sprites for weapons, ammo, power ups and some objects, making them look more 3D. 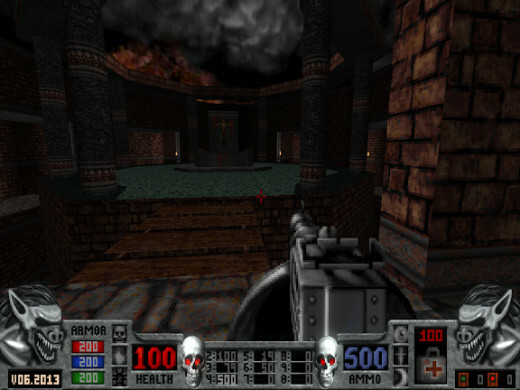 The graphics appeared in 2.5D, which was popular at the time during the 90’s. The game is claimed to have been the first game to feature slightly more detailed objects in the form of voxels. 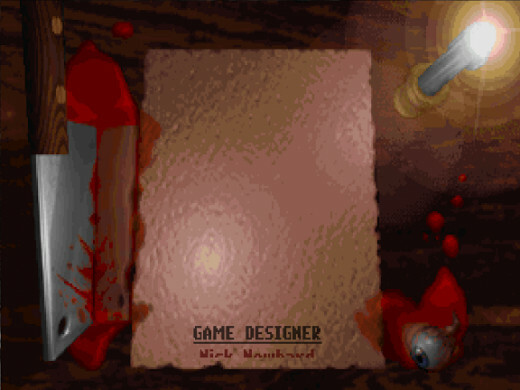 Blood featured a hell of a lot in the game, hence the game’s name. It had more graphic violence than both Doom and Duke Nukem 3D, with enemies exploding in glorious giblet confetti, corpses hanging from chains, torture victims, and the head that would open his eyes and look at you creepily. The music feature in the game, especially the first levels, is akin to monks’ chanting. It’s very broody and dark, certainly more so than anything else before it, even though it was still in MIDI format. The music from Blood has received a major overhaul as Mark McWane has completed new modern versions of the songs that he provides as free downloads off of his site in mp3 and OGG formats. I can’t lie; the sound is distorted when I try to play the game, and so renders it almost pointless in trying to review it. It is apparently possible to get the sound working in XP as someone went to all the effort to write up a whole tutorial on how to get the sound working in the build games, including Duke Nukem 3D, Shadow Warrior, and Blood. I’ve tried it and the sound is a little better in Shadow Warrior but not much improvement in Blood. The gameplay featured many of the same things that most other games of the 90’s did. There were just more keys to collect. 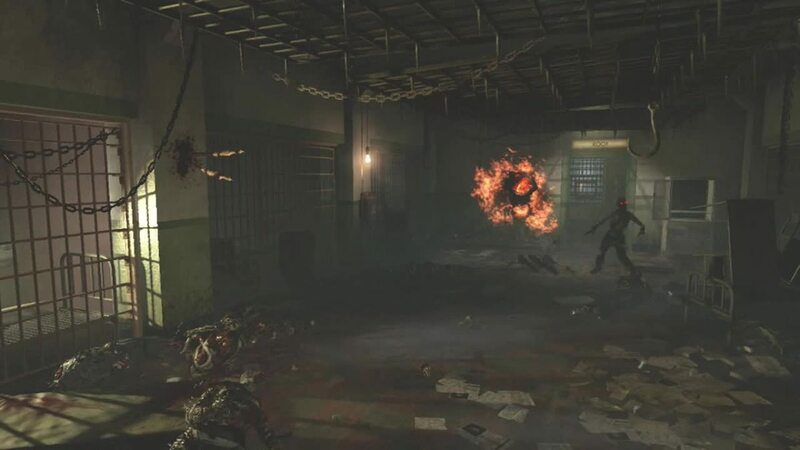 There were the same secret areas, locked doors, traps and other things that featured prominently in other games of its kind. The enemy AI, like most game of the time, was decidedly stupid, and I hated those flying gargoyles. There was a wide variety of enemies to face with a few innocent bystanders present as well, all for Caleb’s sadistic killing pleasure. 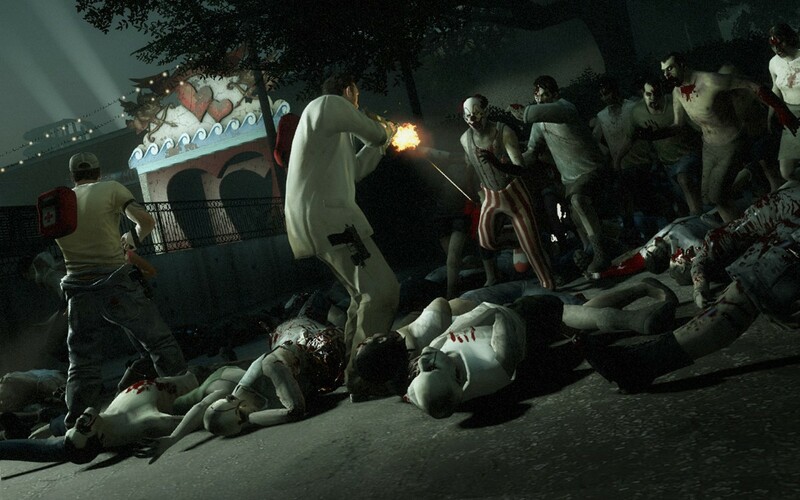 There were a number of unique weapons, and it was one of the first games to feature secondary weapon attacks and arguably guns akimbo (handling two weapons at the same time), although it was a power up and not a continuous game element. The only game that had done this before to my knowledge was Rise of the Triad, but the player could only use two pistols, not the entire arsenal in duplicate. 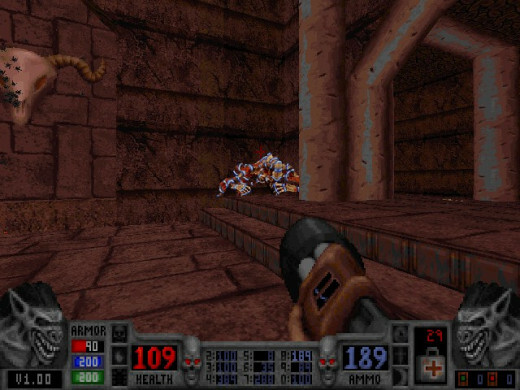 The game features smooth controls, with better strafing capabilities than ROTT, but with the same slide effect as other games (when the player releases a movement key, the character keeps moving). It features mouse aiming and you had the ability to jump and crouch. In fact the character seems to go prone rather than crouch. 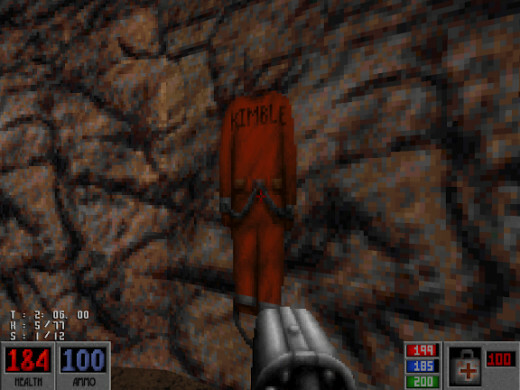 The robed cultists in the game with the sawed- off shotguns and Tommy guns are very reminiscent of the monks from ROTT. 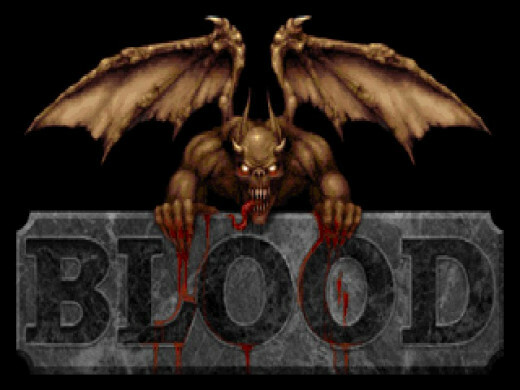 Even the story line of ROTT and Blood are similar with both games involving cults, cultists, and evil gods at the helm. 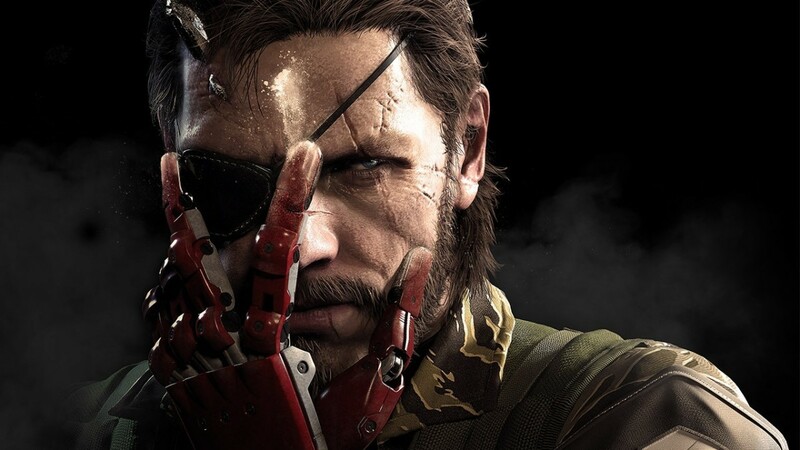 The bloody hand print on the front of the game’s box looks like the bloody hand print found in Duke Nukem 3D in E1L5, “The Abyss”. 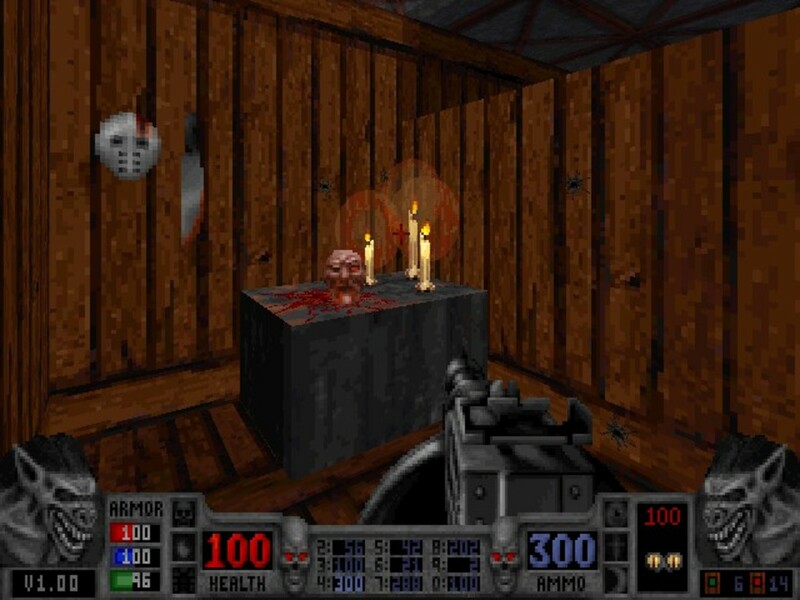 The disembodies hands that are found in the game occasionally are Blood’s version of the Protozoid slimers found in Duke Nukem 3D. It runs a bit slow sometimes on XP with a drastic drop in frame rate on occasions, but to its credit, you can run the game from the command prompt although the sound is stuffed. Running it in DOSBox is also possible. There’s also a problem with VESA in XP that prevents the game from running in higher resolutions, but this has been fixed via the NOLFB patch from Ken Silverman’s website. 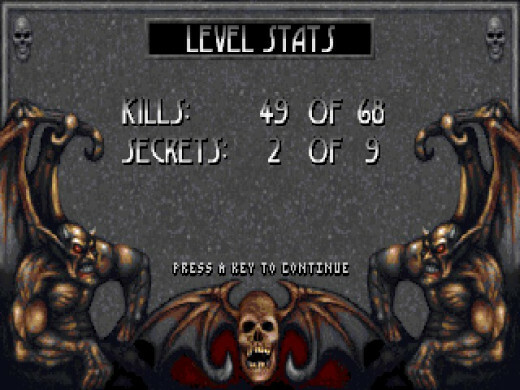 Honestly, I didn’t play Blood years ago, but I got it recently and enjoyed it a lot. The only thing is that because the source code isn’t available and therefore no work has been done to revive it a bit, it hasn’t got as much longevity as Doom, Duke Nukem 3D, Shadow Warrior or even ROTT, that have dedicated people working on releasing increasingly impressive updates for the graphics, and other areas. What do you think of Blood? Best out of the Build games. Not too bad. I've played worse.